Prime Minister David Cameron and President Barack Obama today renewed their commitment to change the lives of 1.2 billion poor people in the world through the US-UK Partnership for Global Development. The pledge comes during Mr Cameron’s visit to the United States this week, and builds on the partnership first set out by the two countries in May last year. An update on the progress of the development partnership so far can be found in a new factsheet released today. Since the partnership formed last year, the UK and US have aligned their development work by cooperating more at a country level, joining up responses to humanitarian crises and combining efforts to strengthen international action. As two of the world’s wealthiest nations, we embrace our responsibility as leaders in the development that enables people to live in dignity, health and prosperity. Even as we redouble our efforts to save lives in Somalia, we’re investing in agriculture to promote food security across the developing world. We’re working to improve maternal health and end preventable deaths of children. The partnership outlines specific areas where we are focusing our collective efforts, reaffirming our commitment to saving lives and improving human welfare around the world. If you needed proof of how much more we can achieve by working together than acting alone, our response to the food crisis in the Horn of Africa demonstrates the transformative impact of our partnership. 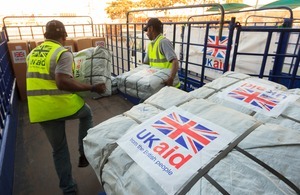 Over the last ten months, USAID and DFID’s leadership and decisive action in the region has helped avert an even larger catastrophe. The revitalised pact also goes beyond relief work, placing an emphasis on new innovations and the scale-up of successful, longer-term approaches. Both countries want to build on the power of the private sector to help change lives, as well as engage emerging market countries such Brazil, Russia, India and China as part of a wider, global partnership to tackle poverty. Looking ahead, both Britain and the US will also maintain their commitment to achieving the Millennium Development Goals (MDGs), including co-hosting an annual MDG Countdown event at the UN General Assembly, showcasing the progress and achievements towards each of the targets in the run up to 2015.